Find the best upholstery cleaning professionals throughout Adelaide and surrounding areas. 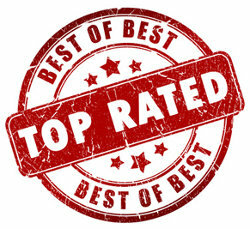 The following business has demonstrated a commitment to quality & service. Bensons Cleaning Services are the TrustedCleaner recommended upholstery & leather cleaning company in Adelaide. 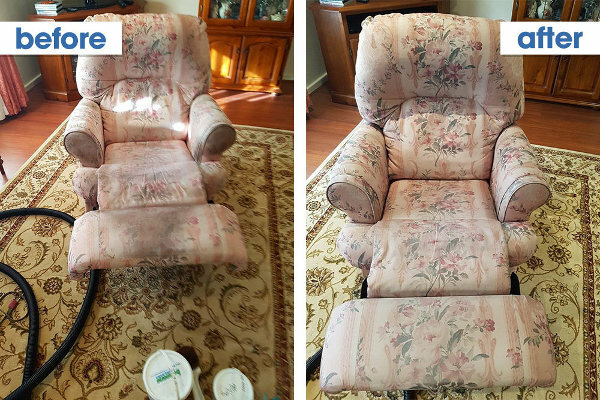 Let Bensons Cleaning put the life back in to your furniture – you’ll be amazed at the transformation! Years of deep-down dirt, grime, dust mites and other nasties will be removed, along with stubborn stains and marks, leaving your furniture looking clean and fresh again. The team at Bensons Cleaning are an AWARD WINNING Adelaide based upholstery cleaning specialist with over 13 years experience. 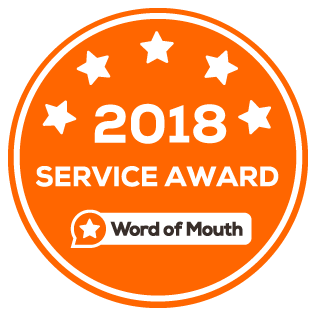 They have been awarded with the covered WOMO service award for 5 years in a row, and have over 80 5-star reviews on Google, TrueLocal and ProductReview.com.au. Bensons Cleaning Services are a company who stands out from the crowd! They use professional-grade equipment, and the latest non-toxic cleaning products to achieve a great result without causing any damage. Their multi-stage hot-water extraction cleaning process will clean and protect your upholstery. What makes Bensons Cleaning stand out from the crowd? Call Bensons Cleaning today and you’ll discover why we are proud to recommend them as our top Adelaide upholstery cleaning company. Priceless Cleaning provides a range of cleaning services to businesses and individuals in the Adelaide area. Upholstery cleaning is one of the services they offer, in addition to rug and mattress cleaning. Founded by Irish immigrant Sean O’Shea, O’Shea’s Carpet Cleaning has been providing the greater Adelaide region with quality cleaning services since 1990. Though the backbone of their business is carpet cleaning as the name suggests, O’Shea’s does offer quality upholstery services to reduce in-home allergens and prolong the lifespan of all furnishings, from curtains to sofas. A luxury cleaner, Kornblum makes no effort to conceal their premium branding to the world—Bookings begin with an “Interior Stylist Consultation” before progressing to any actual cleaning. When the time for cleaning upholstery does come, Kornblums will bring their mobile dry-cleaning unit on site where their Chameleon Clean Technology takes over. Though prices do vary based on the size and scope of the lounge or sofa to be cleaned, Kornblums offers a rough pricing guide on their website for those inclined to look. If the stain is fresh—the wine just spilled—set about blotting it immediately. Take care to avoid any smearing or wiping motion as that will actually push the stain further into the fabric and help it set. All blotted out? Vacuum the stain and the upholstered furniture in general. The suction will help draw any and all moisture to the surface as well as general dirt, dust, oil and grime. The care tags on your upholstery can provide invaluable cleaning insights. 4. Be familiar with what cleaning agents work with the fabric and colour of your upholstery in advance. Knowing the right cleaning agent from the wrong cleaning agent can not only save time, but save the fabric as well. Make sure whatever cleaner is being used won’t weaken the fibres or cause dyes to run. Wine stains differently from chocolate which stains differently from coffee which stains differently from dirt. Try to get familiar with the diverse world of staining substances. Sometimes the best thing you can do is admit you’re outmatched from the get-go. Knowing when to get on the phone with a professional cleaning service can eliminate unnecessary anguish and stress. 5 Ways to Encourage Kids (and Some Adults) to Help with the Cleaning!